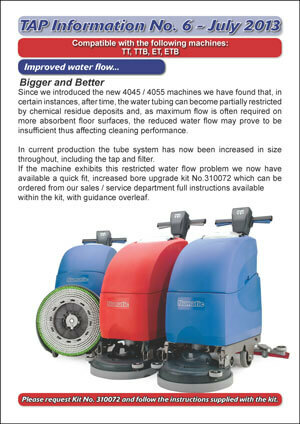 Since we introduced the new 4045 / 4055 machines we have found that, in certain instances, after time, the water tubing can become partially restricted by chemical residue deposits and, as maximum flow is often required on more absorbent floor surfaces, the reduced water flow may prove to be insufficient thus affecting cleaning performance. 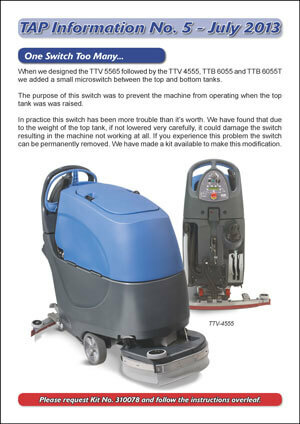 The Twintec Cable Machines are one of our most popular ranges being cost effective with exceptional power and performance. 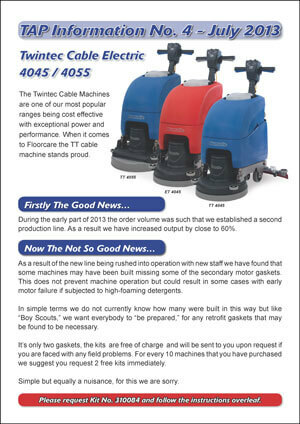 When it comes to Floorcare the TT cable machine stands proud. 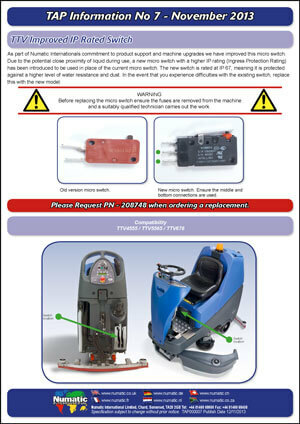 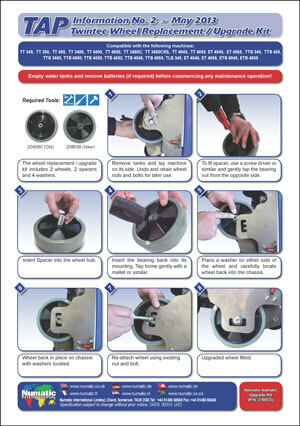 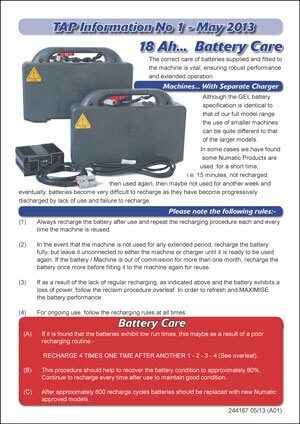 Your Numatic Scrubber Dryer has been designed and constructed to the highest standard. 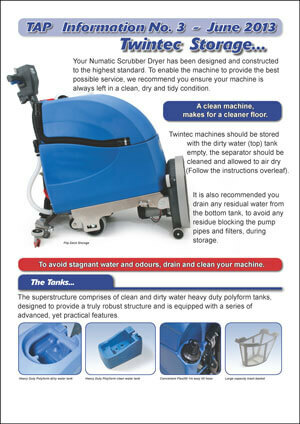 To enable the machine to provide the best possible service, we recommend you ensure your machine is always left in a clean, dry and tidy condition.